Holy moly. EASTER. It was once January, and now it’s time for EASTER. I know that it’s basically been crickets over here since I returned from Palm Springs. And I’ll explain everything v v soon, okay? But there’s no time to waste with the Easter posts! If you’re unsure of how to decorate for Easter, you’re not alone. Bunnies can be cute and all, but sometimes you’re looking for something… else. That’s okay, right? 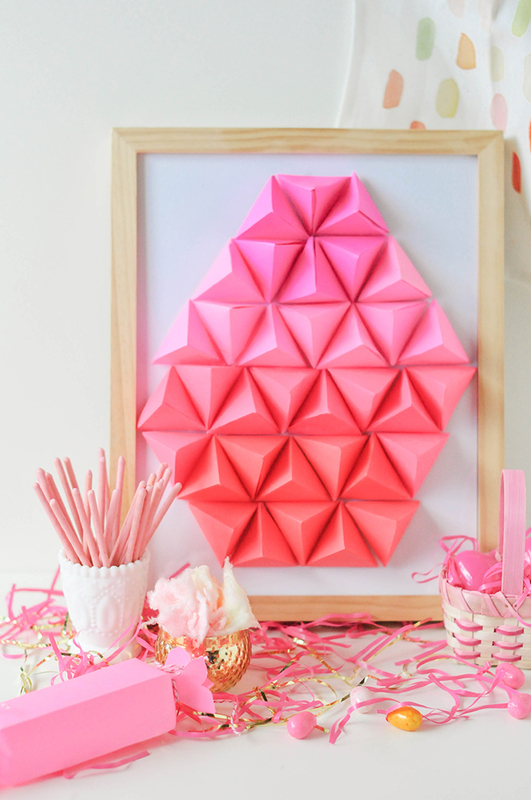 I know that Easter is filled with pastels, but I’m sharing a super bright and colorful DIY Geometric Paper Easter Egg. Remember this little sneak peek on Instagram from way back when? Well, we put all the paper triangles to good use! It’s all about the neon, I tell you. Start by trimming each sheet of paper to 6″ x 6″. Once you have it trimmed to a square, follow the directions on the triangle guide to score the paper every two inches. Here is a ridiculously helpful video to show you how to score the sheets! There are lots of ways to make the triangles as this is essentially origami, but the score guide helps speed things up! 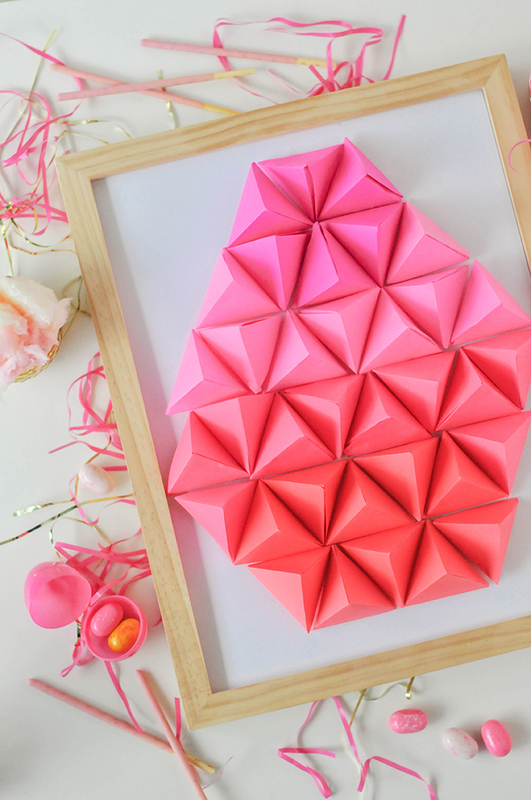 Depending on the size of your paper egg, make 35-40 triangles. I placed mine on an 11″ x 14″ frame and used 35. Once your triangles are cut out, fold along the score lines and assemble the gem by placing double-sided tape on all the little flaps. Arrange your triangles how you want them first, and then working one-by-one, place a strip of double-sided tape to the bottom of each to attach it to the frame. We went for a sort of ombre look starting with pink on top and transitioning to red on the bottom. Whenever we have a little shindig, there is usually a place for all the candy. 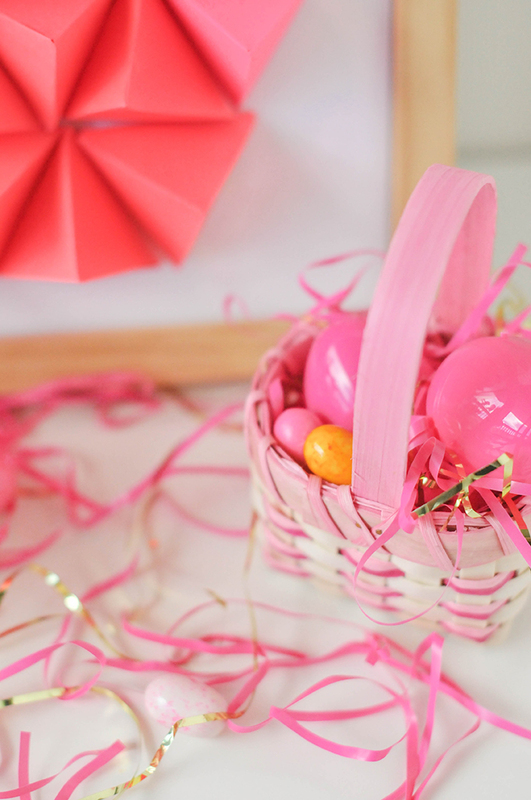 If you’re throwing a little Easter get-together this year, set up a little candy display where your guests can come and fill miniature baskets and paper boxes with the sugary goods! 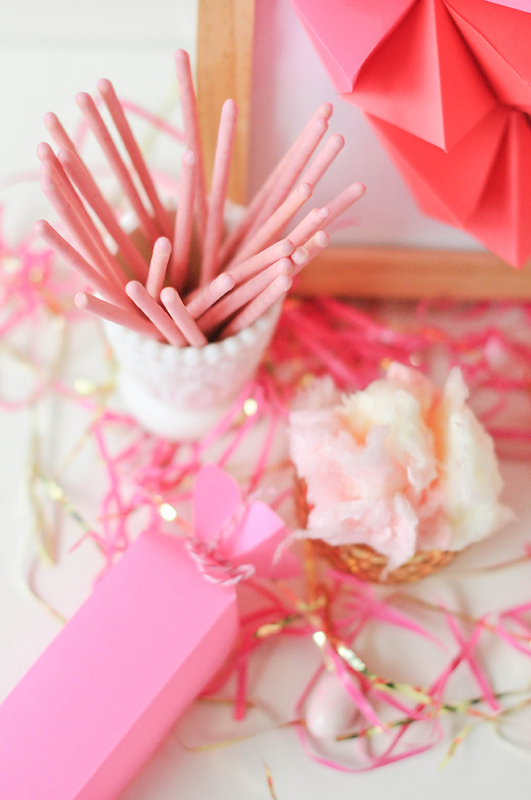 Pocky sticks had to make an appearance here. 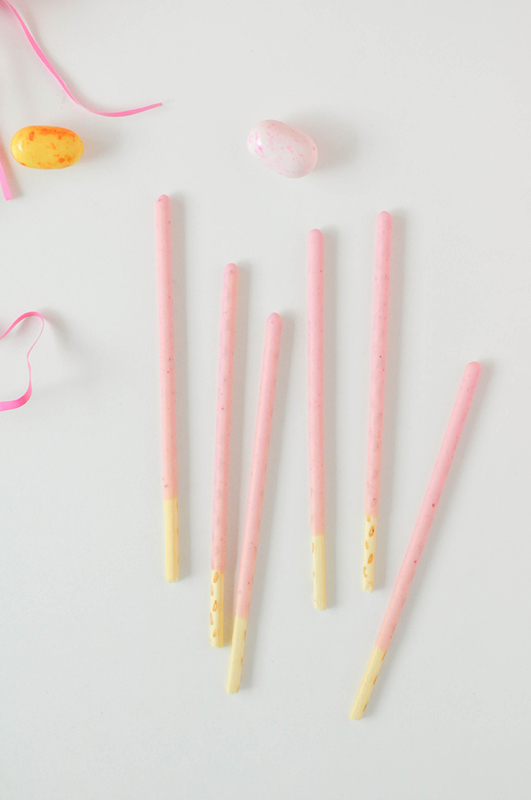 It might be the pink, I can’t be too sure, but they just scream “EASTER!” to me. 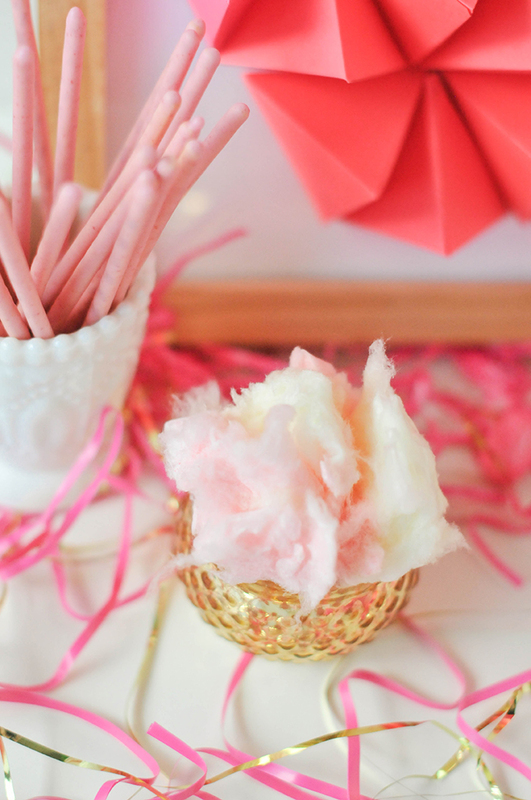 What child wouldn’t love to take home some cotton candy after the hard work of an Easter Egg Hunt? I’m starting Mara on the proper treats early. She already loves cotton candy. #motheroftheyear. Also, it’s one of those foods that I don’t have to worry about her choking on since it dissolves right quick. Everybody wins. These treat boxes were made from Astrobrights Papers too! The Pulsar Pink kept calling to me and I had an assortment of paper box punch boards after the holiday Eat Drink Create bash back in Denver! 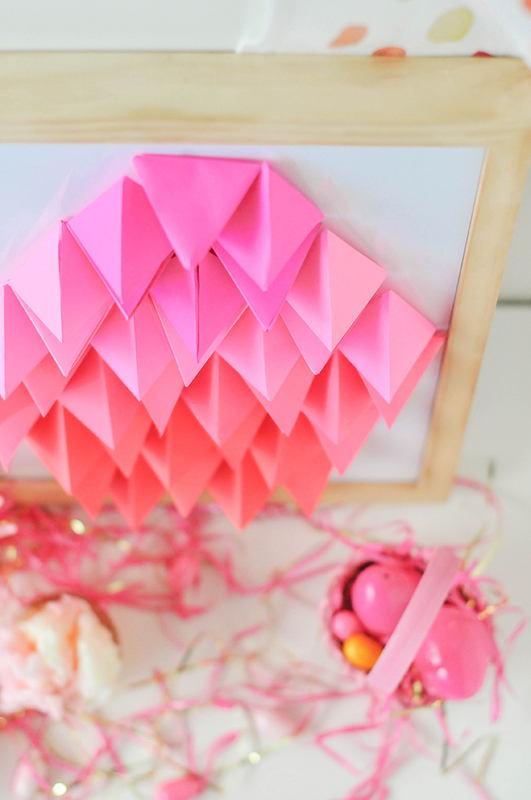 This box can be made using this Candy Box Punch Board . 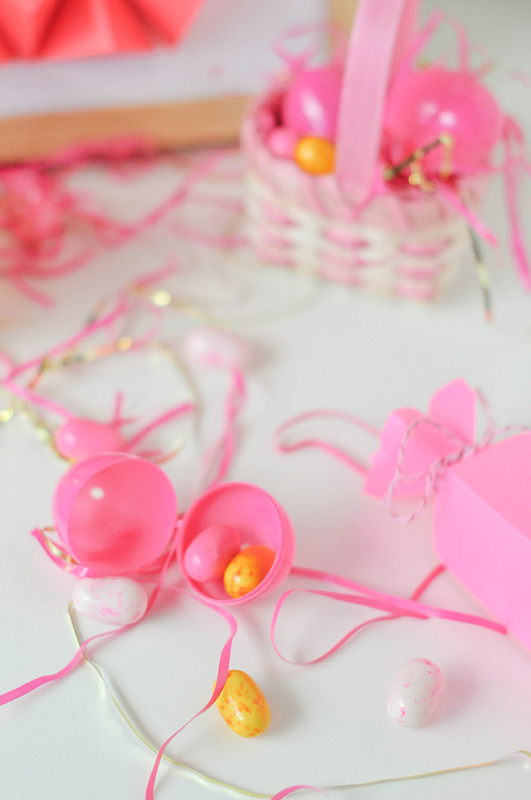 Fill with some egg-shaped jelly beans and gumballs, tie the ends, and gift away! Or hoard. Nobody will judge you. 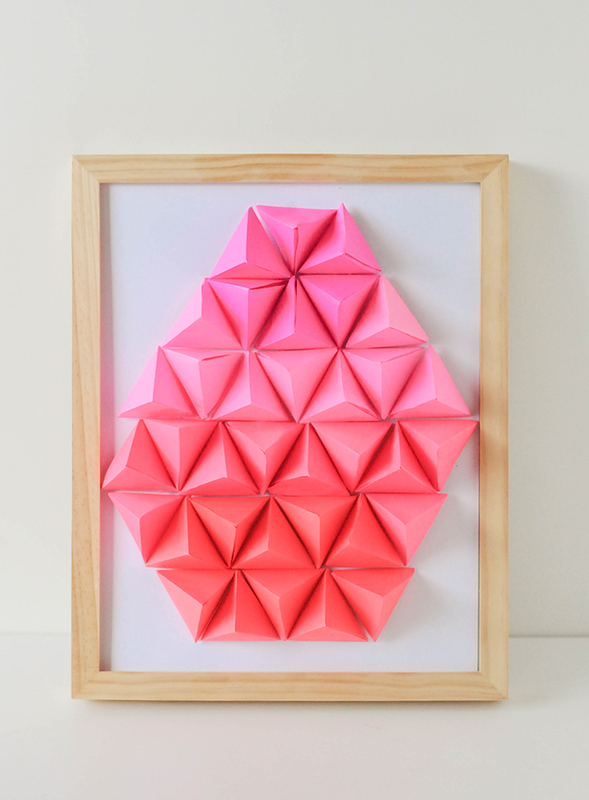 Since this paper egg is installed on a frame, you can hang it up on the wall, or place on the mantle or entryway table all month long until Easter gets here! And probably long after! Because it’s geometric. 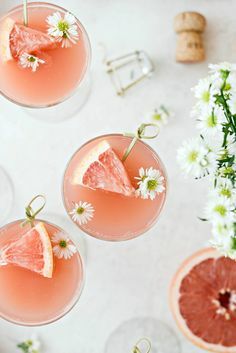 And pink. And oh so egg-celent. Gosh, I’m just getting started with the Easter puns! Check out some of our other Easter projects over here! What will you make this year? 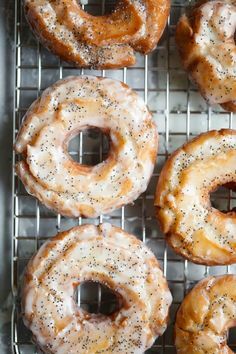 Would you take on a small project like this or are dyed eggs more your jam? Well, this is amazing! I absolutely love it, Lex. And the colors are perfect. Very cool indeed and your pics are beautiful! 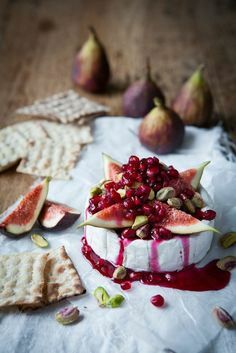 Will be sure to share. Thank you, Ann! And thank you for sharing! That’s so kind of you!